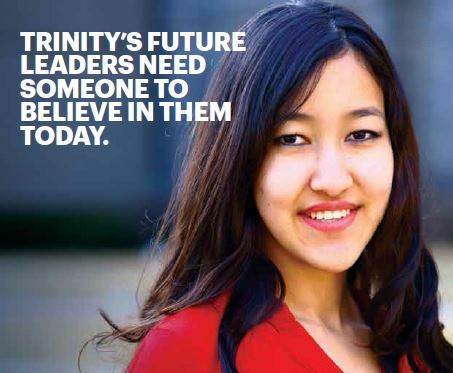 Why did you choose Trinity College? academic seriousness and confident High Anglican-informed traditions were appealing to a Sri Lankan Catholic high schooler from suburban Oshawa. What is your favourite place on the Trinity campus? Seeley Hall, in late October: I have been attending the Trinity book sale continuously since 1995. A rejection of the very concept for the durable and more realistic gifts of life itself. A rejection of the rejection I mentioned a question ago. A friend with 15 children who somehow reads more than I do. What advice would you give your first-year university self? Stop eating the bacon-and-eggs breakfast plate in the Buttery every other day. Tell us one thing about yourself that few people know. I’m part German. On my mother’s side, the earliest known ancestor is a clerk who came to Ceylon (now Sri Lanka) in the 18th century. Whenever my four children and I are watching a Marvel action movie and my wife joins us and wants to know why we aren’t watching a documentary. You’d have to ask my students. At least once a term in the Gilson Seminar in Faith and Ideas, the College One course I teach at St. Michael’s College, I endure an imitation or two, which reveals exactly this. Here and now, with my wife, Anna. 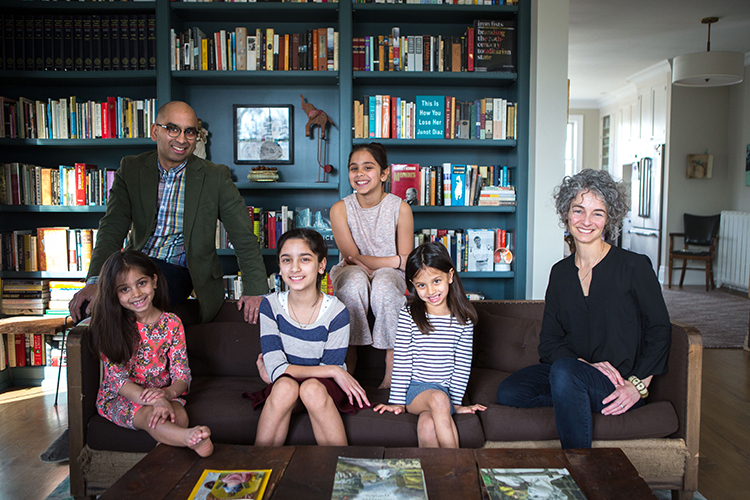 Our four children generally contribute to this happiness as well. Is hair growth a talent? 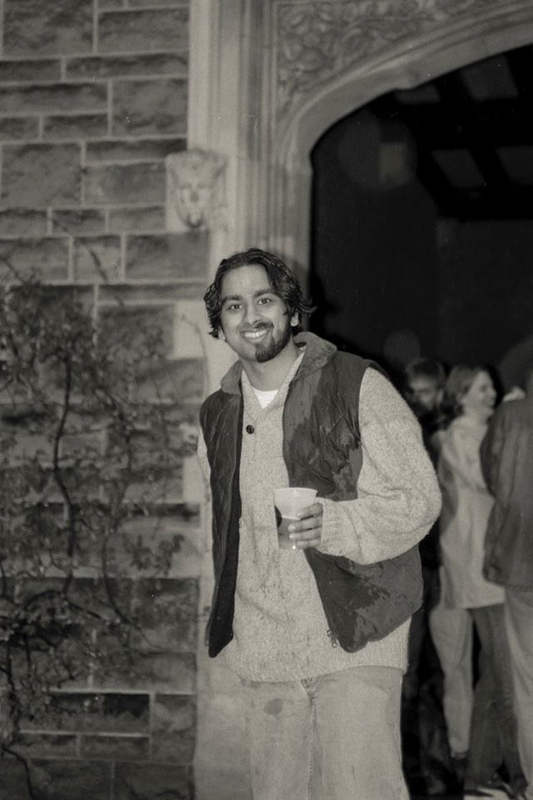 Randy Boyagoda in his undergrad days … with half a beard. What is your favourite treat or indulgence? The fried eggplant on focaccia sandwich you can buy in the basement at St. Lawrence Market. Faith and family life are working out pretty well; so too, my day job(s). Not the sundial that used to be in the middle of the quad. The Grundig short-wave radio I purchased at the end of my fourth year at Trinity, which I took with me to graduate school in Boston and which has travelled with me all around the world. I still listen to it every day. What Aristotle proposed we value: persons who help you, in any number of ways, to grow in virtue and the good, who themselves are open to doing the same because of your own friendship with them. William Faulkner, Evelyn Waugh, Saul Bellow, St. Augustine, Dante. St. Augustine, he said, in a humble brag. Those who give and do more with less than I do. On Nov. 12, grads from the 1990s are invited to an dinner and a talk with featured speaker Randy Boyagoda ‘99, as he discusses his most recently published novel, Original Prin. 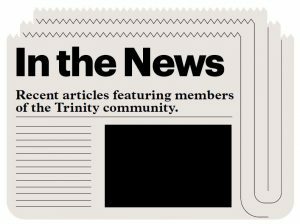 Find former classmates, network with other Trinity professionals, plan and find area events, and mentor students or find a mentor for yourself. Join ConnecTRIN Online today!